Selling a home is a complex process and it is not as simple as we may like to think; it can often be a really long and stressful process. This is why most home owners who are ready to sell put the hard work of selling into the hands of someone whose job it is to get the sale done properly. All licensed real estate agents should be able to perform a sale according to Australian law and governing legislation. However, since there are thousands of licensed agents in Australia, you do not want just any real estate agent, but rather, choose an estate agent whose going to be on the same page as you for conducting the sales process according to your wants and needs. To simplify this process of finding the most suitable estate agents, we’ve gathered few frequently asked questions that you can ask your real estate agent when selling your property. The first thing that you want to know about a real estate agent is how they performed in the past. Let them outline their sales history and provide you with some proof. As we’ve mentioned that a home sale is a complicated process, and it helps when you have an experienced professional with proven track record whose going to handle sale of your property. Particularly, ask about their performance regarding your particular local area as some suburbs may be more easy or difficult to sell in. What Does My House Need In Order To Get the Best Possible Price? A good real estate agent should have your best interest at heart. This means that they should be able to take a look at your home and give you some constructive feedback on what is needed in order to get the best possible sale price. Experienced realtors should be able to assess areas for improvements, and quickly find most cost effective ways for improving these areas which can add to better price outcomes for you. If you are a handyman or handywoman, then, you can even attempt simple tasks such as taking care of the garden, fresh paint, new home decorations that compliments the design of your house, fresh flowers in a new vase, or even simply lighting changes can all add up to getting better deals when selling. Ask the Real Estate Agent About How Do They Plan To Carry Out The Sale? When finding a good real estate agent, they should be able to give you a comprehensive plan that has been highly effective and timely. Each agent usually has a way of doing things that they stick closely to. However, they have to make a few adjustments depending on your specific requirements, your suburb location, and the home that they will be selling on your behalf. Don’t hesitate to ask more questions to get an answer from the agent in terms of how well they are willing to factor in your specific situation into their comprehensive plan. How Will We Determine The Asking Price For My Home? The valuation process is probably one of the most important things to get an answer for you as the seller. You would not be going in to selling your home if you didn’t plan to make some profits from it. Ask the agent as to how they will help you to decide on a good price for your home as well as real estate agent fees they will charge. The process can be done in different ways and considers many different factors. The realtor must be able to evaluate your current home as it will be different to others s/he has sold previously. Real estate agents are good at understanding how home buyers think so thus they can provide you with estimates about how much a buyer would be willing to pay for your home. Professional agents job is to make sure that they stay up-to-date with current property market values throughout Australia, and they will have sound knowledge about the average and median house sale price of the homes within a certain suburbs and city locations. If they do not conduct the valuation themselves, then, they should have the relevant appraisal professional connections to get a professional valuation done for your property. Because selling your home is a big decision and usually may take weeks or months, you will need to be in contact with the agent every step of the way so that he / she can inform you as to the progress they are making. Whether you are selling through private listing, an auction or online, working with a real estate agent is a partnership, after all, it is your home they are selling, and you are their valued client who needs to be informed once the selling agreement is signed. When a potential buyer inquiry is made? When advertising on new channels is arranged? When there is house walk through? When before/after an auction is arranged? When an offer is made? These are some of the example questions you may want to note down to ask your real estate agent before going in to an agreement with them. What Marketing Plan Will You Follow For My Particular Sale? When selling, the real estate agents may already have interested buyers on their records (whether these are property investors, or general mum and dad home buyers looking for properties in your area), or it may be the case that property agent is planning to put it out there in their property listings. Marketing a house is not an easy task to say the least, there is an art to marketing a property, and doing it well will determine the speed and success of the entire process. Ask your real estate agent as to what exact steps they will follow for marketing your property better than others currently on their listing. To clarify: because a licensed real estate agent will have similar properties, what will they do different for the sale process of your home compared to their other similar listing? Nobody likes pushy sales people, and although the real estate industry in Australia is well governed, unfortunately, there are some operators who are still practicing unethical selling processes. This is due to large amounts of money changing hands due to house sales, and unethical real estate agents often see opportunities for a quick buck. 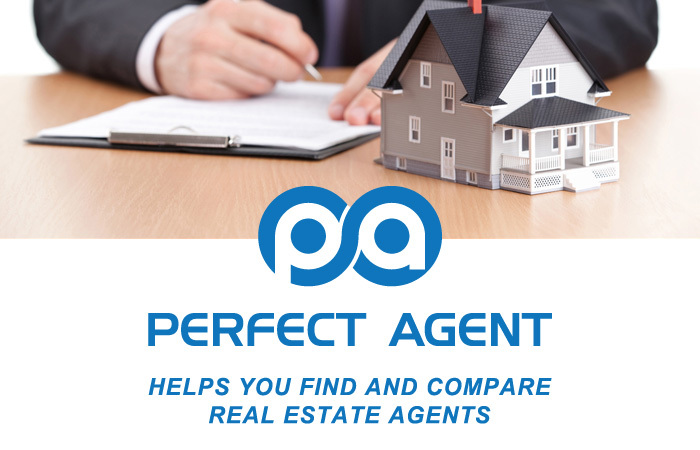 We here at Perfect Agent hope that the above questions will at least guide you in to making a better, more informed decision when selling your home and searching for a real estate agent. Finally, evaluate the conversations that you have with the real estate agent to determine how well you connect with them. Don’t hesitate to ask them to give you some time to think about their response and offers. A great connection and mutual understanding is the best way to make any form of mutual partnership successful. Always trust your instincts in making your decision and be active through the entire selling process until it’s completed successfully.